In 2009, a study commissioned in Denmark revealed that a startling 83% of the sport and leisure horses surveyed had gastric ulcers. So, what are gastric ulcers and how can you tell if your horse has them? The correct veterinary term for gastric ulcers is Equine Gastric Ulcer Syndrome (EGUS). It’s a surprisingly common complaint that can affect any breed, type or age of horse. EGUS is widely considered to be a problem that has occurred as a result of modern feeding regimes and stable management practices. In order to understand what causes gastric ulcers, it’s necessary to understand a little about the physiology of the horse’s stomach. The horse has a small stomach relative to its size. In fact, the stomach is roughly the same size as a rugby ball. The organ sits on the left side of the horse’s body, just behind the shoulder blade. The stomach is split into two areas, separated by a line called the margo plicatus. The upper area of the stomach (squamous mucosa) is lined with tissue that is similar in nature to that found inside of your mouth. The lower part (glandular mucosa) contains glands that secrete acid and has a protective mucosal layer. Horses evolved to be ‘trickle feeders’, spending many hours wandering and foraging as they did so. Consequently, the equine stomach is designed to receive only small amounts of roughage at frequent intervals and to never be left completely empty. 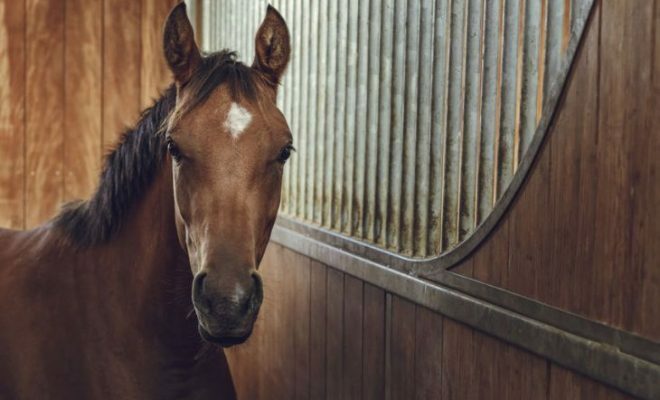 Ulcers form in the horse’s stomach as a direct result of exposure to excess gastric acid, which can occur if a horse is exercised on a completely empty stomach. The stomach acid is not restricted or soaked up by roughage in the horse’s stomach and therefore splashes onto the tissue in the upper stomach that is not protected by a mucosal lining as the horse moves. The acid ‘burns’ the sensitive stomach wall, causing painful ulceration. The severity of gastric ulcers can vary from tiny areas of inflammation to deep craters, filled with dead or dying tissue. A scoring system from 0 to 4 is applied by vets to grade the severity of ulcers. It is extremely important that horses have access to a continual supply of forage. This keeps the stomach lined and the saliva that is produced whilst trickle feeding also helps to effectively neutralise stomach acid. What are the signs of EGUS? Many horses don’t show any symptoms of EGUS at all. Some owners just report that their horse simply ‘isn’t himself’, although there are no clinical signs present. In order to diagnose EGUS, your vet will carry out an endoscopy. 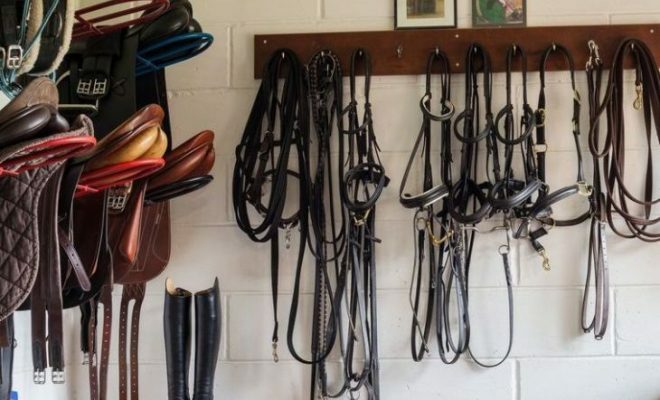 For this, your horse will be mildly sedated, and a video gastroscope will be passed down his oesophagus and into his stomach, where sites of concern can then be photographed. How are gastric ulcers treated? 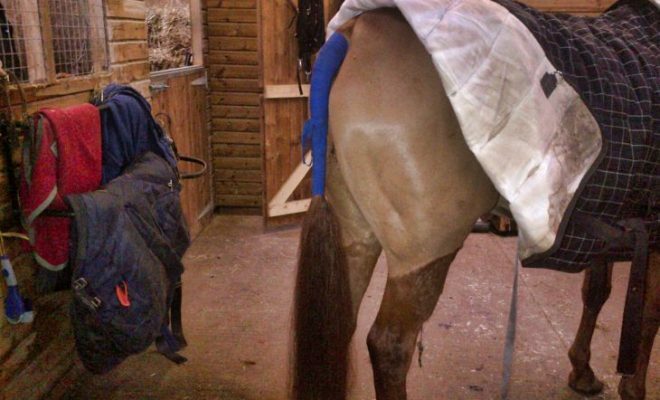 The treatment your horse will undergo will depend on the severity and type of his ulcers. Drug therapy to restrict the production of gastric acid is usually given, together with tablets that help to form a protective barrier across any existing ulcers. This therapy will make the horse more comfortable while the ulcers heal. If your vet is concerned that infection may set in because of the severity of the ulcers, he may also prescribe a course of antibiotics. Correct, ongoing management of the horse is vital if a recurrence of the ulcers is to be prevented. 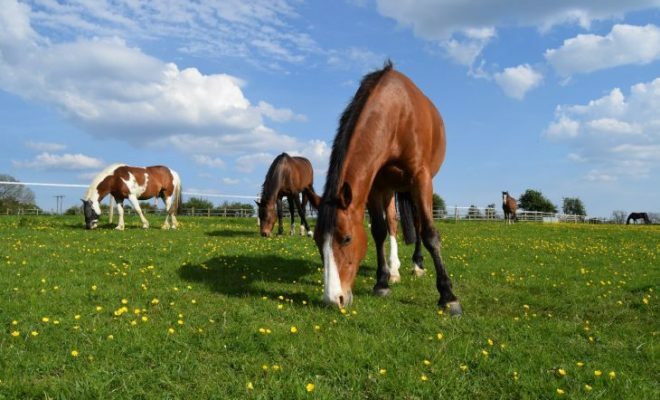 You can start by ensuring that your horse receives good-quality hay or haylage ad-lib throughout the day and night or has access to good grazing, which can also help to reduce stress. Adding alfalfa to the horse’s ration can also help, as it has an antacid effect. Similarly, corn and rapeseed oils can help to reduce acid production and assist in healing existing ulcers. Troublesome ulcers can heal within six months if the horse is managed correctly. 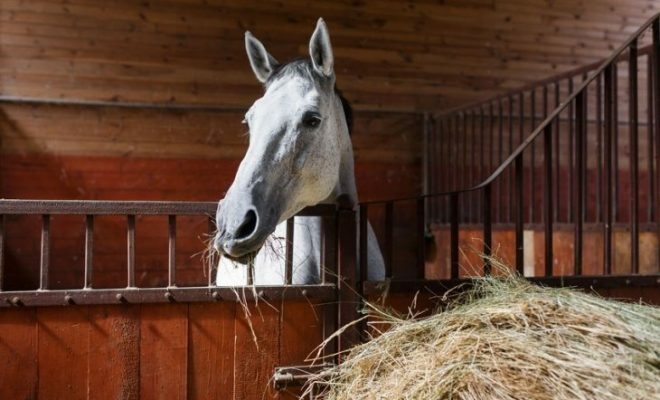 If the horse is stabled for much of the time, several small feeds during the day are better than one or two large ones and should be accompanied by ad-lib forage and plenty of fresh water. 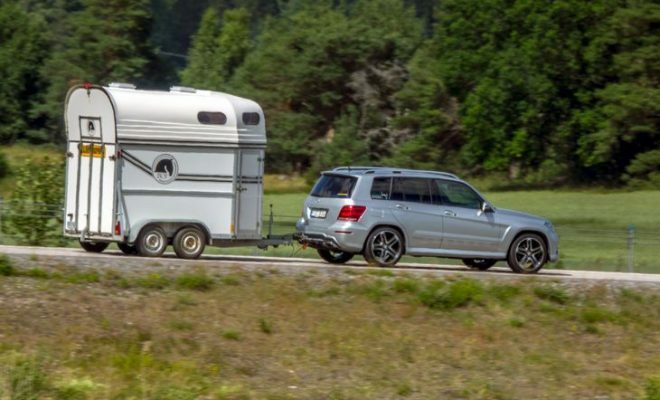 Horses that become stressed when travelling may benefit from a calming supplement. Gastric ulcers can be extremely debilitating for your horse if they are not detected and treated appropriately. 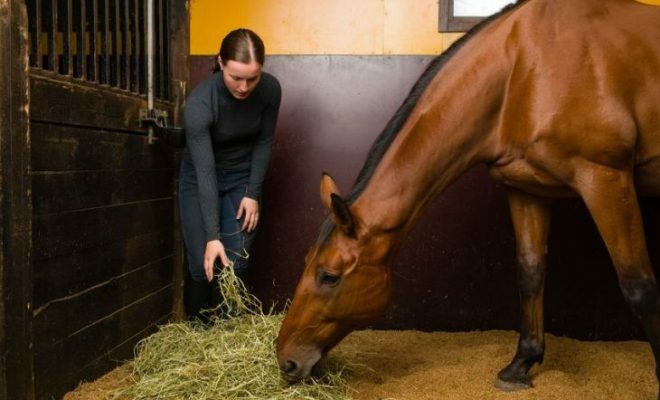 You can help to keep your horse’s digestive system in good order through correct feeding and management as outlined above. If you are concerned that your horse’s lifestyle may predispose him to EGUS, ask your vet for more advice. What is the ‘Happy Athlete’? What is the Aim of Dressage?